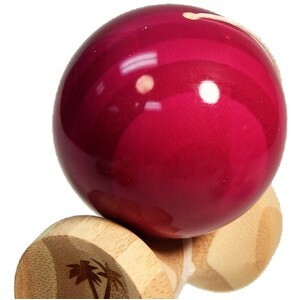 Standard sized kendama made of laminated Bamboo and coated with a translucent paint. SKU: bkTRNSbamPrP. 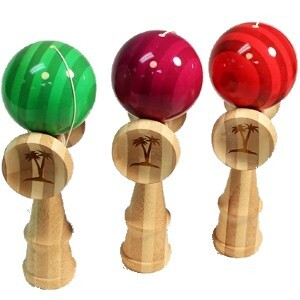 Categories: Bahama Kendama, Kendama. Made entirely of bamboo this kendama will no doubt draw the attention of all your friends. Featuring 3 different sized catch zones along with the post the Bahama bamboo kendama is a state of the art kendama designed to increase you level of play. Translucent color tama allows the wood grain to show through the color. Unique look!